Skin for AIMP 4 in an all-in-one format. The choice of two options for the cover, in light or dark colors. The interface is quite friendly and looks quite stylish. 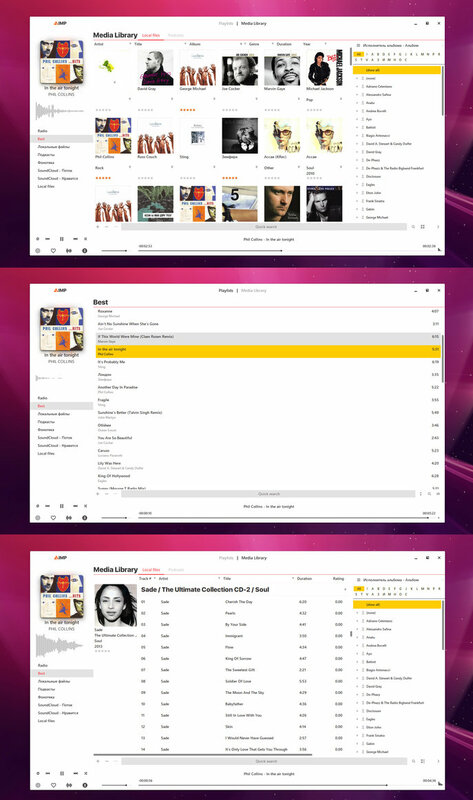 In the main window you can display playlists or music library, for music lovers with a large collection of music it will be very convenient.